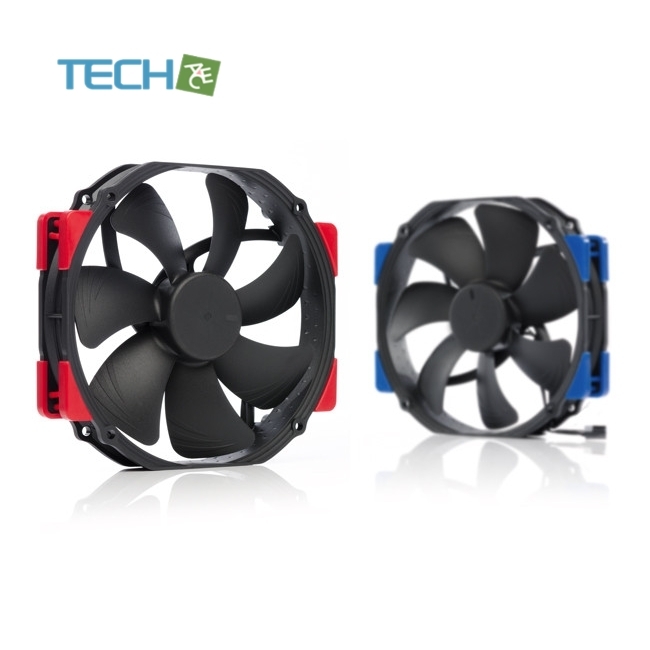 Having received more than 100 awards and recommendations from international hardware websites andmagazines, the NF-A15 is one of Noctua’s most renowned and popular 140mmfans. Its 150mm wide round frame with 120mm standard mounting holes (105mmhole spacing) makes it ideal for use on CPU coolers such as the popular NH-D15, NH-D15S or NH-U14S. 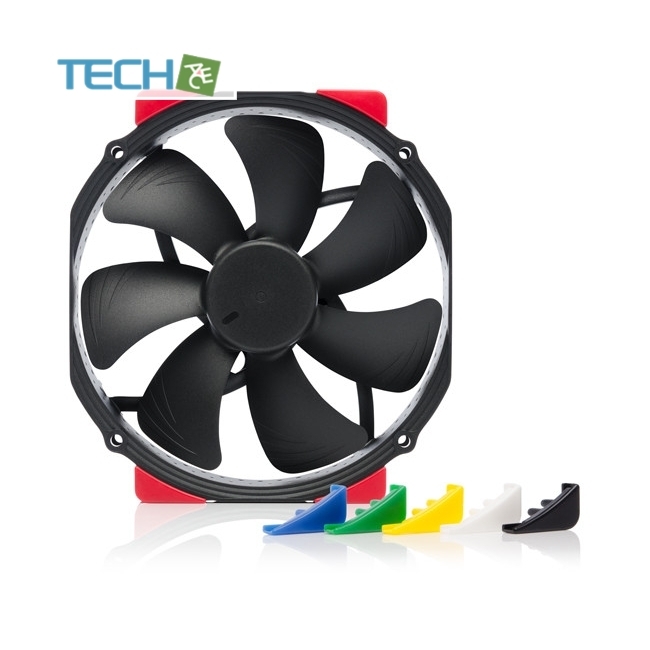 The chromax.black.swap edition combines the NF-A15’s signaturequiet cooling performance with an attractive all-black design and a bundle of swappable red, white, blue, green, yellow andblack anti-vibration pads that allow the colour-customisation of the fan to match individual build colour schemes. For furthercustomisation, a wide range of accessories such as coloured cables and anti-vibration mounts are available separately. 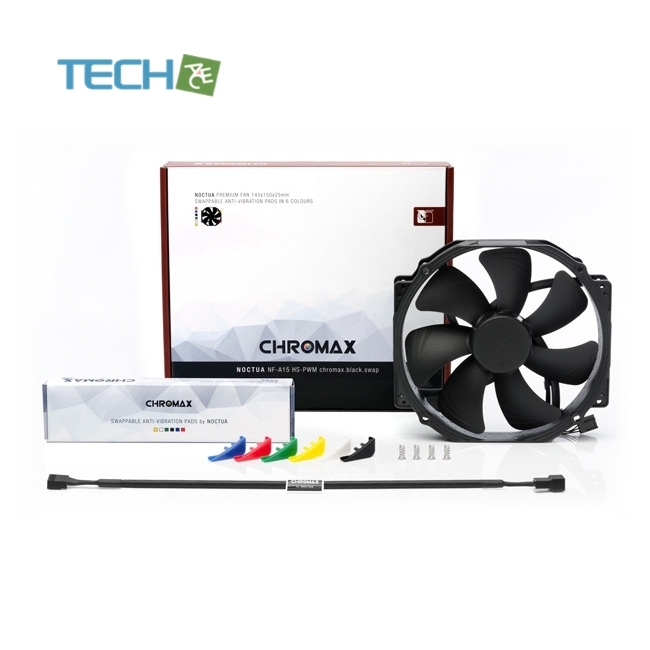 Toppedoff with Noctua’s trusted premium grade SSO2 bearing, more than 150,000 hours MTTF and 6-yearmanufacturer’s warranty, the NF-A15 HS-PWM chromax.black.swap is the perfect choice for all users who value individual,focused build aesthetics just as much as class-leading quality and performance. Having received more than 100 awards and recommendations from the international press, Noctua's NF-A15 has become a proven premium choice for 140mm cooling needs. Its renowned efficiency has convinced tens of thousands of customers all over the world. 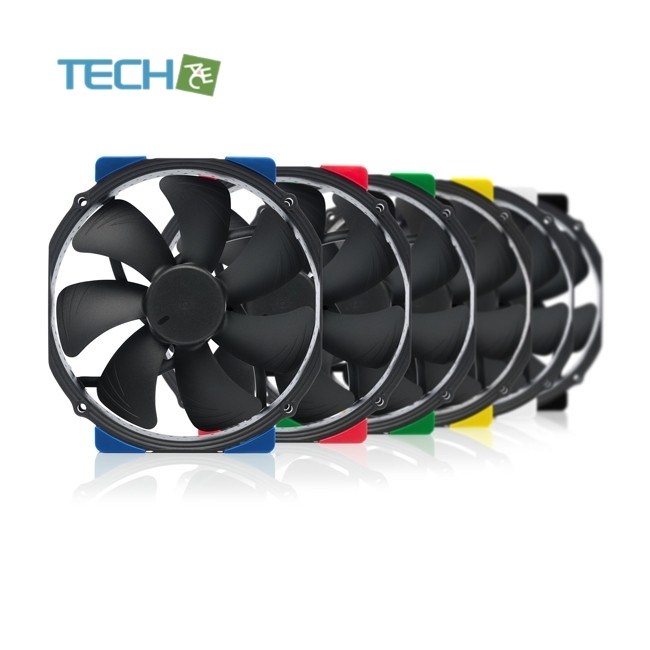 The NF-A15 HS-PWM chromax.black.swap comes with 8 black, white, red, blue, green and yellow anti-vibration pads respectively, which allows the fan to be fully colour-customised in order to coordinate it with other components or popular build schemes. The NF-A15 is tailor-made for use on today's high-end CPU coolers: While its 150mm width matches those of most high-end heatsinks, its 140mm height doesn't make it extend on top and thus ensures best case compatibility. The NF-A15's standard 120mm mounting holes (105mm spacing) also make it an ideal performance upgrade for 120mm case or CPU fans. The NF-A15 impeller features suction side Flow Acceleration Channels. By speeding up the airflow at the crucial outer blade regions, this measure reduces suction side flow separation and thus leads to better efficiency and lower vortex noise.